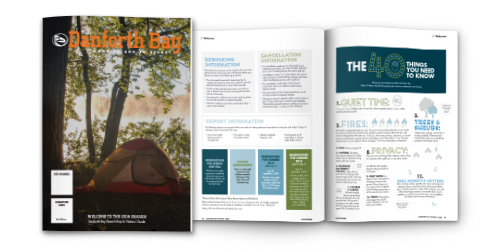 2018 Danforth Bay Map & Visitor's Guide! Thank you for choosing to stay at Danforth Bay Camping & RV Resort. We hope that you enjoy your stay with us and that this guide will help you take full advantage of all the fantastic amenities we have to offer. Please call 603-539-2069 or email abenson@danforthbay.com if interested in advertising in the 2018 Danforth Bay Map & Visitor's Guide!